Your media room or living space denotes your personality and aesthetic preferences. Stock cabinets are readily available and cheaper than tailor-made ones but aren’t suitable if you’re expecting customization. Readymade living room wall units cannot incorporate custom features. 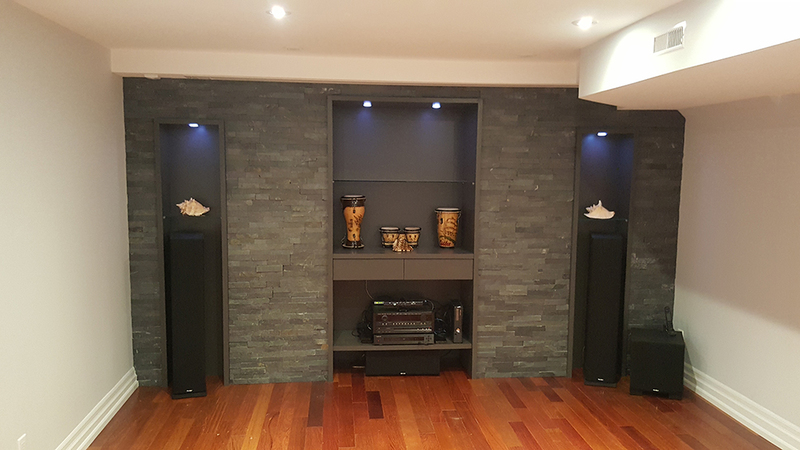 If you’re looking to install a complete built-in entertainment zone for your living room or a compact wall mounted bookcase for your home library, trust the budget-friendly solutions provided by Euroline Kitchens Ltd. We design and install custom wall units in Mississauga, Toronto, Brampton and the rest of the GTA. Whether space is your concern or budget is a restraint; our team can work with you to identify and resolve the issues. We understand that each home is unique, not only in terms of its architectural structure but also in character. Design experts at Euroline will understand your needs, listen to your ideas, take exact measurements and create a blueprint of the customized wall unit. Share your ideas that complement the existing room décor. We believe in open communication. Before planning your project, we clearly state the cost estimate and approximate time required for execution of the project. 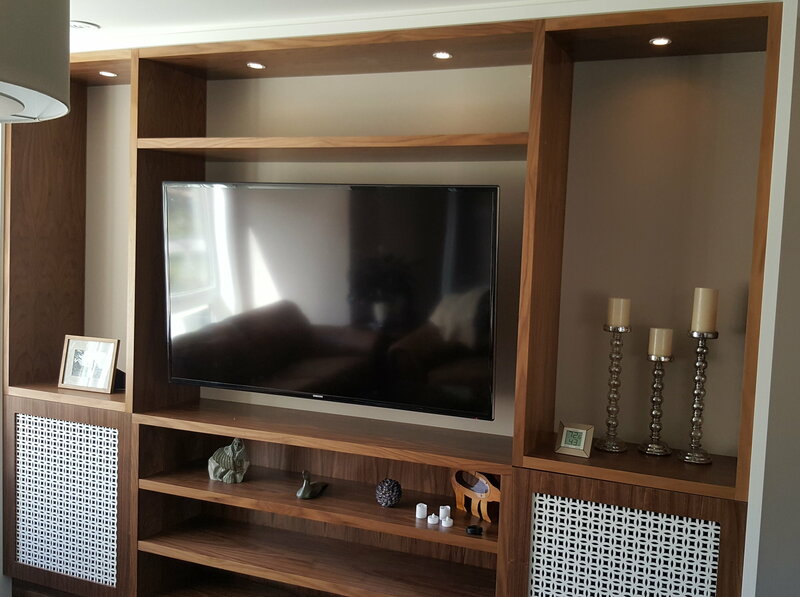 What kinds of wall unit can you design? Our custom wall cabinet solutions are ideal for minimalistic modern homes and studio apartments. We can transform a small room into the liveliest and coziest part of your home, with our space-saving storage solutions. How does a typical wall unit look like? Will these custom units complement my living room furniture? We will create beautifully finished units that will be in tune with the existing décor and furniture items. 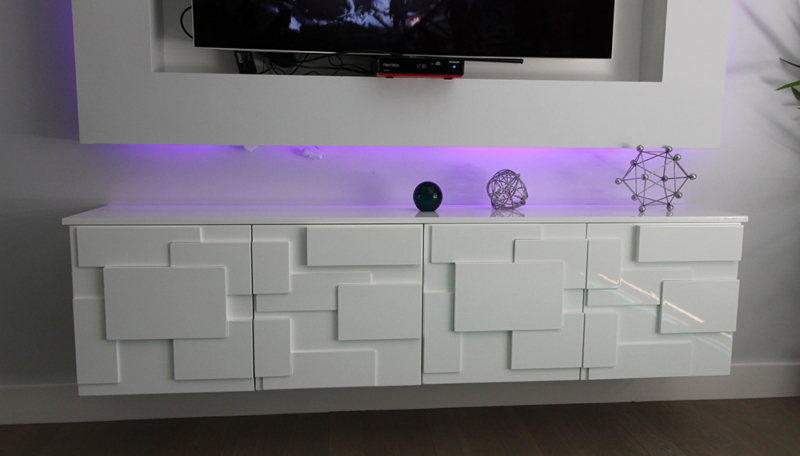 Can you create an all-white entertainment unit? 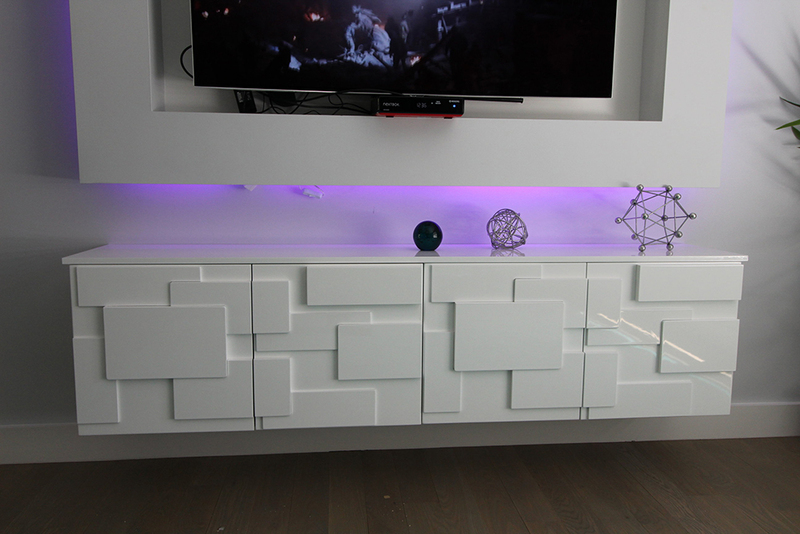 Yes, we can create an all-white entertainment or media unit if you ask for one. Can you make a wall-mounted unit with stained wood? Yes, we can make stained wood units for home offices, media rooms and home libraries. Can I ask for cost estimates over email? Yes, you can share your project specifications with us and one of our representatives will get back to you with closest price estimates. Our email address is: info@eurolinekitchens.com. However, we’ll insist on a face-to-face discussion at our showroom in Mississauga.